Here are some interesting facts about Colchester Castle. Colchester Castle is an almost complete Norman castle, dating from the 11th century. It is located in the town of Colchester in Essex, about 80 km north-east of London. Colchester was once the capital of Roman Britain and is believed to be England’s oldest town. The Romans built a 2,800 metre long wall around the town, which can still be seen today. The castle’s main keep measures 46 by 34 metres and is the largest in Britain. It was at one time 4 storeys high although it has been lowered over time as the stone has been recycled into other local buildings. William the Conqueror ordered the castle to be built, and it was constructed between 1069 and 1100. Construction stopped in 1080 because of threats of a Viking invasion. Colchester Castle was built over an old Roman temple. Parts of the castle were built with tiles and stone taken from the temple and other nearby Roman ruins. Colchester Castle experienced little military action during its history. In 1215 King John attacked the castle, an incident which led to the famous Magna Carta being signed. Two Royalist leaders were executed behind the castle during the second English Civil War in the 17th century. According to a local legend, grass never grows in that spot. During the 17th and 18th centuries, the castle was used as a jail, as well as for storing grain. In the 1740s, a local Member of Parliament bought the castle and created the gardens surrounding it. The gardens surrounding the castle attract over a million visitors each year. Some of the landscaping and layout of the 25 hectare park is still unchanged from Roman times. 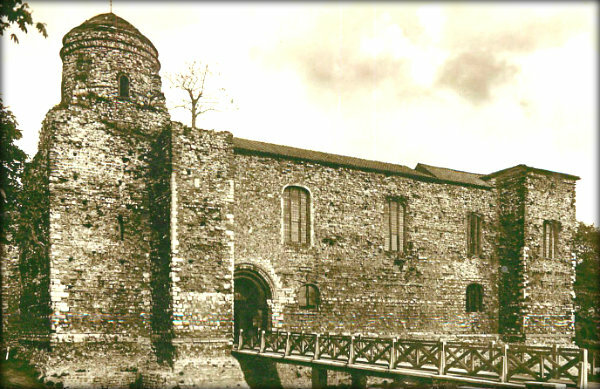 Colchester Castle became a museum in 1860. The displays include gold coins which date from pre-Roman times, and a beautifully decorated pot known as the Colchester Vase. What next? Discover some more facts about castles in Britain, or learn about the features of a castle.